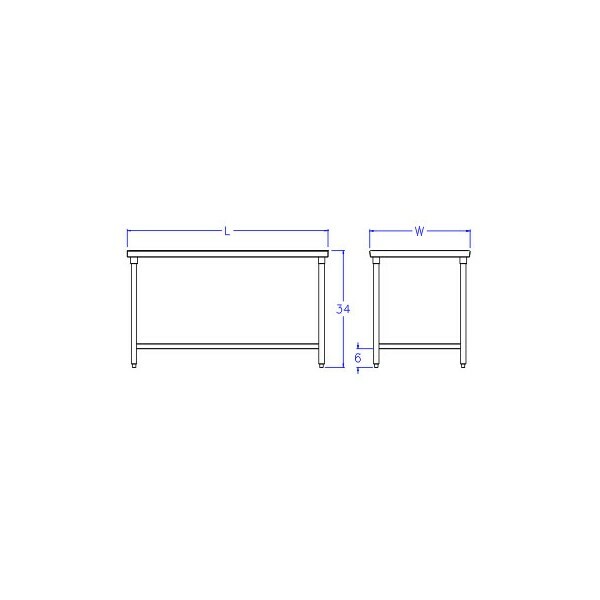 AllStrong Work Tables are designed to meet customers' multiple applications in any food service environment such as restaurant, market, bakery, etc. 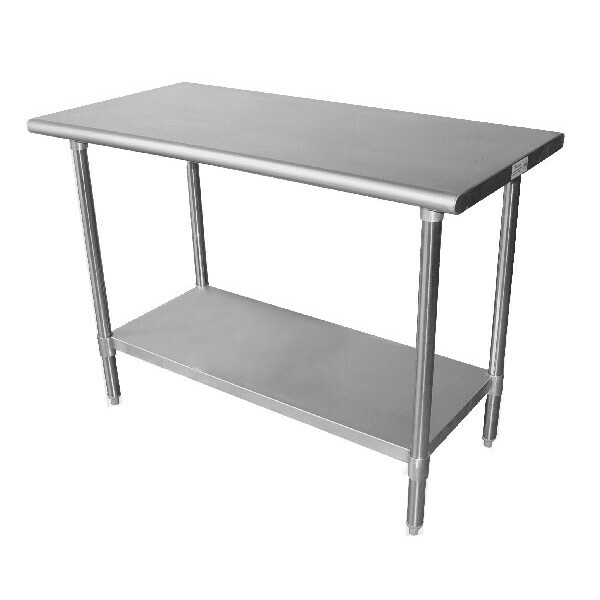 Table top is constructed of stainless steel with 2" flanged on all edges. The unit is supported on tubular stainless steel adjustable legs. Standard under-shelf is made of stainless steel with 1-1/2" flanged edges. 1. Top is constructed of stainless steel. 2. Under-shelves are constructed of stainless steel. 3. Legs are stainless steel tubular 1-5/8" in diameter . 4. Overall height is to 35".